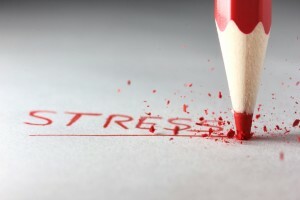 The process of litigating a personal injury claim can be an incredibly stressful experience. The physical consequences of an accident can disrupt your social life, create conflict with your work and family responsibilities, and can have a dramatic effect on your mood. Further, to attempt to litigate a personal injury claim when your finances are minimal or uncertain is particularly trying. With this in mind, good counsel – at the very least – should consider your financial vulnerability while excellent counsel should take steps to try and relieve the financial pressure placed on you as a result of your injuries. This blog post discusses the controversial issue of litigation financing with a focus on resources available to personal injury victims and the risks associated with litigation loans. I believe very strongly that before looking to any other option, prudent counsel should first look to see what resources their clients have to address their financial distress. There is no reason to look into an alternative – and possibly precarious – line of financing when there are still interest-free options available. Typically, this requires that exploring the existence of funds that might be available from your various policies of insurance. For instance, a client with access to ICBC Part 7 benefits should have these maximized before looking to other options. Moreover, private insurance plans should be sourced and accessed to the fullest before looking to other options. It might be possible for you to receive an advance payment voluntarily from your insurer or as a result of a Court order. the amount sought on the advance leaves the Court with certainty that it will not eclipse the ultimate recovery. This means that in most instances an advance can only be obtained if an insurer can be convinced to do so voluntarily. Not surprisingly, insurers will try to negotiate onerous terms into these advance agreements. It’s important that your counsel guard against any unnecessary or improvident concessions. Litigation lenders are not loan sharks, however, some are not far off. Litigation lenders typically charge rates that range between 20% and 30% once the magic of compound interest is taken into consideration. That is a pretty healthy return considering the low risks involved to these lenders. To draw a comparison, the old Vancouver Stock Exchange seemingly involved greater risk and rarely (if ever) produced consistent returns at this level. How are these lenders able to charge such high rates? Basically, these lenders enjoy an environment of high demand with very few competitors. Traditional lenders like banks and credit unions do not have the flexible capital structures needed to allow them to service this market. These companies are simply filling the vacuum created by the absence of traditional lenders. More distressing, private interest charges on disbursements are not recoverable at trial (See MacKenzie v. Rogalasky 2014 BCCA 446). The interest that may be claimed on applicable heads of damages is confined to what is permitted under the Court Order Interest Act. While the Court Order Interest Act provides the Court with the jurisdiction to depart from mandated rates, this is not something any plaintiff should expect to happen. Therefore, if you opt to arrange a high interest loan with a litigation lender you need to understand you are exposing yourself to high rates of interest that are not recoverable as part of your law suit. As an alternative to litigation lenders, occasionally personal injury lawyers will provide loans to their clients. However, there are very strict regulations on this type of financing. Ensure the client consents to the charge. 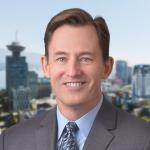 Act in compliance with BC Code which prevents a lawyer from advancing funds to a client if there is a substantial risk to the loyalty or representation that the client is entitled to receive from the lawyer. Often a client have no other option but to turn to their lawyer for financial assistance. Lawyers should not necessarily be disinclined to assist their clients, but clients and lawyers must give careful consideration to the factors discussed above before entering into a formal loan agreement. If you are looking for advice regarding a personal injury claim, please contact a lawyer at Murphy Battista LLP for more information.